Rolex has long been an innovator in the world of watchmaking, and many of their now-iconic models were responses to the needs of people in the real world. Their Submariner and Sea Dweller models were created to help people keep time in the depths of the sea. The Rolex Explorer, on the other hand, was created for other extremes – it was developed to help Sir Edmund Hillary ascend Mount Everest. Introduced in 1953, the Rolex Explorer has remained popular for years with both fans of the brand and those who love the outdoors. 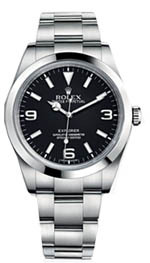 It’s been so successful that a sister model to the Rolex Explorer, the Rolex Explorer II was introduced a few years ago. While this one doesn’t offer a lot in the way of styling choices or options, it’s an historic model that anyone should be proud to wear. Read on for the full Rolex Explorer watches review. As with all of the company’s products, this watch is exceptionally well built. Using the company’s legendary Oyster case, this model is made from tough and durable stainless steel, combined with a rock-hard sapphire crystal that will resist scratches and allow you to read the time regardless of the environment you happen to be in at the moment. Water resistance is 100 meters, which is more than adequate for anyone other than divers. The Swiss-made movement is a self-winding mechanical movement in their Oyster Perpetual line. With proper care, it’s going to run well for decades and will provide good accuracy. Inside, you’ll find a COSC certified chronometer, as well as a Paracrhom hairspring and heavy duty Paraflex shock absorbers, which will keep it running well even under harsh conditions. The winding crown is of the screw-down type and features a double water resistance system. These days, you’ll find little in the way of styling options with the Rolex Explorer. While there have been variations on the model in the past, mostly in the form of different bracelets, today, the model is available only with a black face and a stainless steel case. No date, day of the week, gold, platinum or diamonds are available on this model, though it does feature an attractive smooth bezel that’s lacking on many of the company’s other models. No, this is an iconic model and it has retained its classic design. If you want some variation, you’ll have to look for the Explorer II. As with most luxury timepieces, this watch will require some extra care. Every five years, you should send the timepiece back to the company for a complete servicing. They will disassemble the watch and examine it for worn parts. If any are found, they will be replaced. Parts will be cleaned, the watch will be reassembled and lubricated, and then it will be tested to ensure water resistance and accuracy. Then they’ll clean it and polish it and send it back to you looking as good as the day you bought it. Aside from this, you should store it in a watch winder to keep it working properly and keep it away from caustic chemicals or strong magnetic fields. With proper care, your watch should last for many years of service. 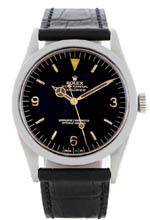 The is the company’s standard one; they warrant the timepiece to be free of defects and workmanship for a period of two years from the date of purchase. These are precision pieces of engineering and are thoroughly tested before leaving the factory, so it’s unlikely that you’re going to find any defects. It’s worth noting that when you send your watch back to Rolex for servicing, you’ll receive an additional two year warranty on that work, so by sending it back every five years, you’ll get another warranty. As luxury timepieces go and even when compared to the rest of the company’s product line, this model’s prices are fairly reasonable. 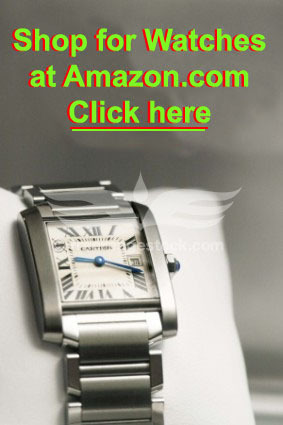 We’ve seen this watch for sale for about $7000-$8000. Keep in mind that this model has no options or choices of case material, so the price range on this one is going to be fairly narrow. As it’s made from stainless steel, it’s going to be priced towards the lower end of the company’s product line. We haven’t seen any models offered for sale with diamonds, but if you find one, it’s been modified by a third party just to bling it out a bit. The factory-issue examples are all stainless steel and that’s that. Rolex likes to carefully control the distribution and pricing of their products. This keeps them from appearing to be “too common” and also keeps demand high. With high demand, the company can maintain their pricing. As a result of this, you’re only able to “officially” buy through authorized dealers, which are usually high end jewelry stores in major cities. It is possible, however, to buy a discounted model, as a few online retailers do offer them for sale at slightly lower prices than the company would like. 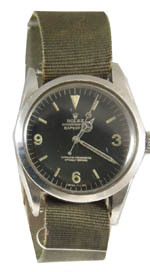 If you’re going to have to put something amazing on your resume to describe your product, it’s hard to do better than pointing out that your timepiece was the first one to climb to the top of Mount Everest, and that’s exactly what the Rolex Explorer did, back in 1953. This rugged model was built to endure whatever extremes the wearer might encounter, no matter where they may be. While the model doesn’t offer the usual options, such as gold, diamonds or complications, it does have a simple, handsome look and it still looks like a Rolex. The lack of bling also makes it more affordable than many of the company’s other models, so a lot of buyers might like the Rolex Explorer as a good starter model. Regardless, it’s a great watch with a rich history.